Through research, we strive to better understand the cancer and survivorship experience in order to improve it. We aim to close the gap between what we already know works and what survivors do to benefit their own health and wellness. ELLICSR inspires people to think differently, and to look for fresh ideas on how to improve the health and quality of life of cancer survivors. 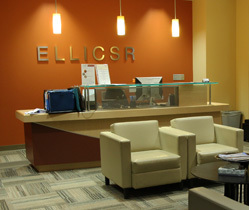 ELLICSR houses our research team and innovative self-management research facilities. Learn about the Research program. Want to make a difference? Learn about volunteer opportunities available. Find out what resources & support programs are available to you. Click here for more details.